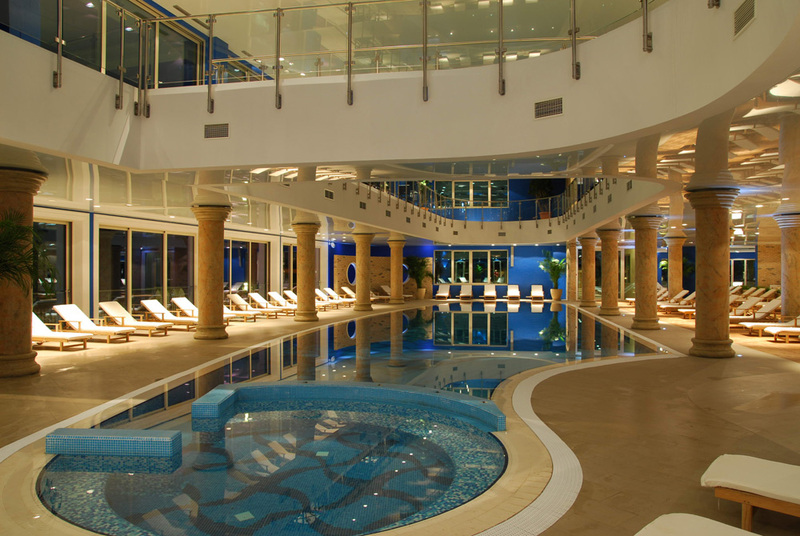 Within the hotel complex there are three indoor (heated) and three outdoor swimming pools. 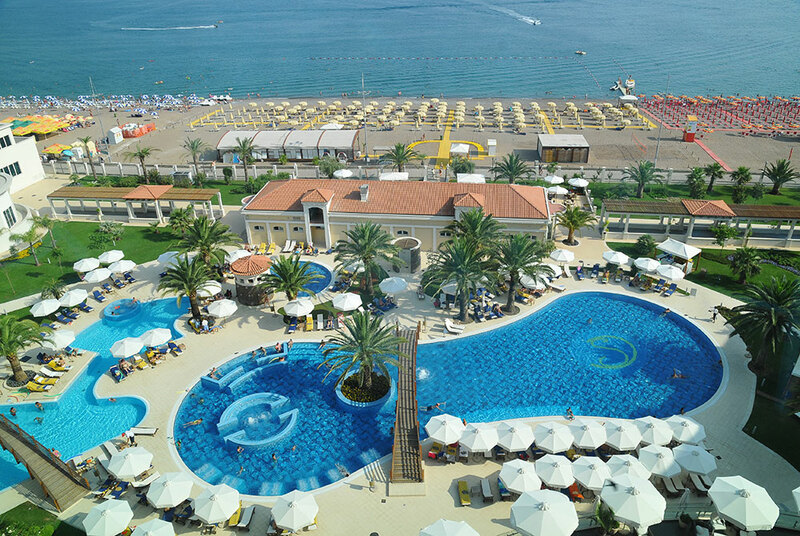 When going to the swimming pool, it is necessary for a guest to bring their hotel card for identification purposes. Swimming pool furniture comprises of deck chairs and parasols, the use of which is not charged to the guests of the hotel. If you like to rent a towel for the swimming pool, it is necessary to bring your towel card, which you will receive at the reception desk at check-in. 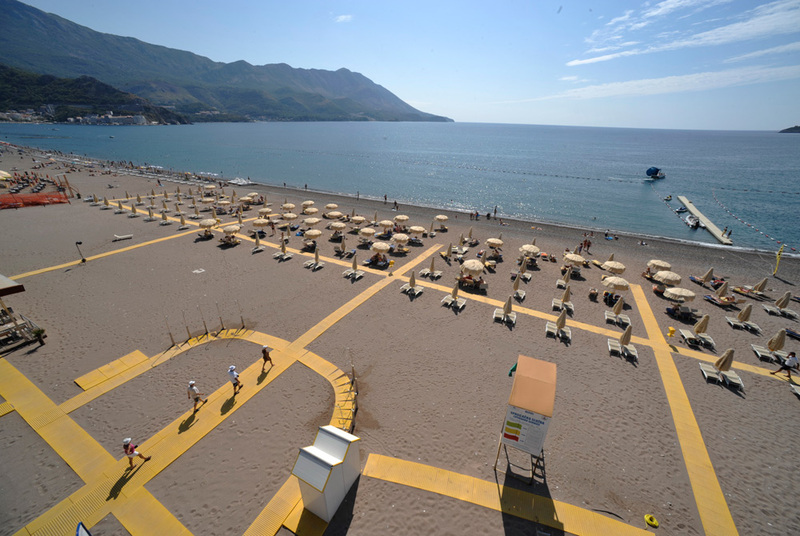 The hotel has its own beach and it’s located opposite the Asian restaurant „Promenada”. You are kindly requested to bring your hotel card to the beach, for identification purposes. 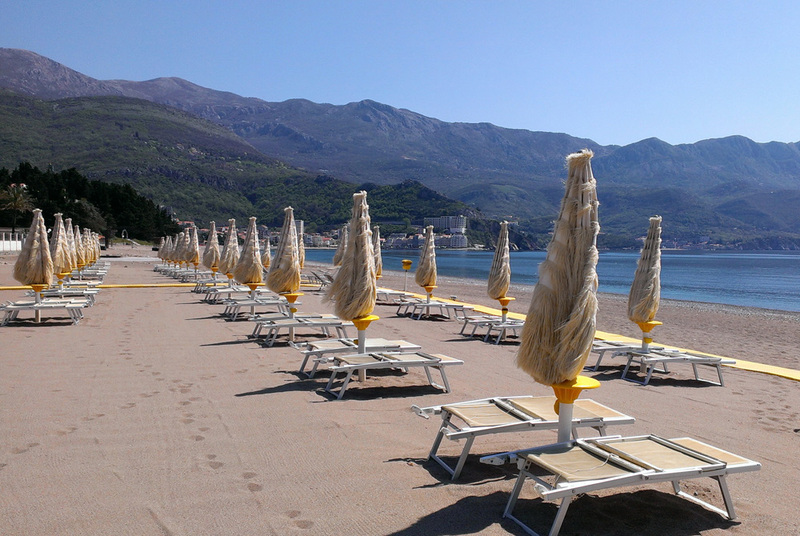 The use of deck chairs and parasols is not charged, whilst towels can be taken at the pools. In order to take a towel it is necessary to have a card, which is issued to guests at check-in. You are kindly requested to keep your card and the towel, since the loss of the same is charged. More information about the beach can be obtained at the reception desk.